Jiong Yan, MD's clinical and research interests include medical and surgical management of age-related macular degeneration, retinal detachment, diabetic retinopathy, and macular disease. She directs the inherited retinal disease unit at Emory Eye Center with a special interest in retinal degenerative diseases. She serves as the vitreo-retinal surgery fellowship director. 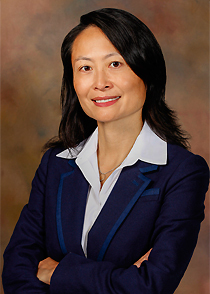 Dr. Yan holds memberships in the American Academy of Ophthalmology, the American Society of Retina Specialists, the Association for Research in Vision and Ophthalmology, and the Georgia Society of Ophthalmology. She is an elected member of the Retina Society.